A 4-year-old wild orca known as J50 whose health has been declining over the past several months is now presumed dead after search parties have failed to spot her for 10 days. Also known as Scarlet, the young killer whale who represented hope for J Pod, one of the three pods that compose the endangered southern resident killer whales (SRKW), was last seen on September 7 in the Salish Sea off the coast of the Pacific Northwest. "J50 was seen lagging a half-mile to a mile behind the rest of her family group at times on Friday," the National Atmospheric and Oceanic Administration (NOAA) wrote earlier this month. "Her body condition is not improving. She appeared to have lost more weight and looked very thin." The loss of Scarlet represents another blow to J Pod, a family of orca who recently caught international attention when an orca known as J35, or Tahlequah, gave birth to a calf who passed away just a half hour after being born, and who then carried her baby's body for 17 days across 1,000 miles before finally letting go. 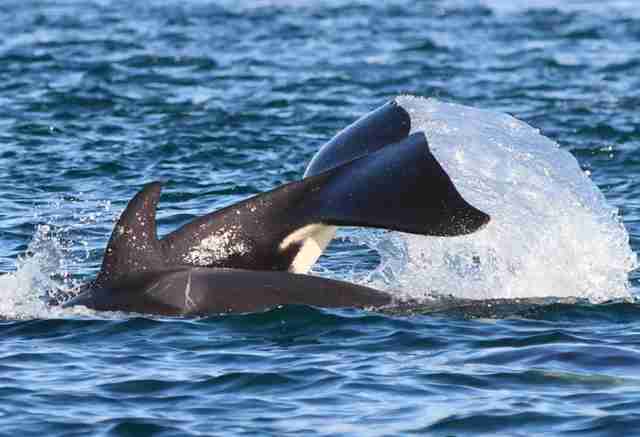 It has been three years since any of the southern resident killer whales — which includes J Pod, K Pod and L Pod — have given birth to healthy calves. 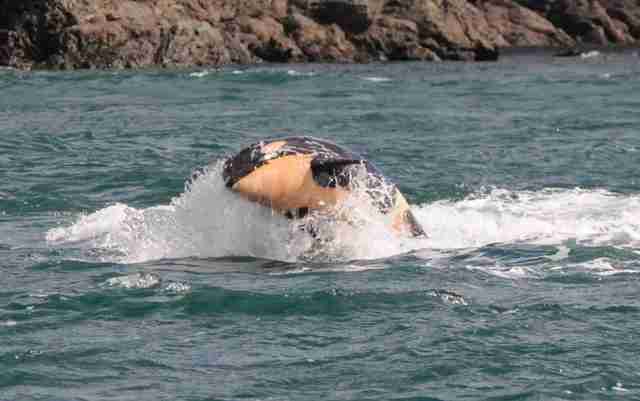 These orcas are struggling to survive because of a scarcity of food. They eat Chinook salmon, which have also become endangered because of dams in the lower Snake River in Oregon, and because of overfishing and pollution of the Fraser River delta in Canada. 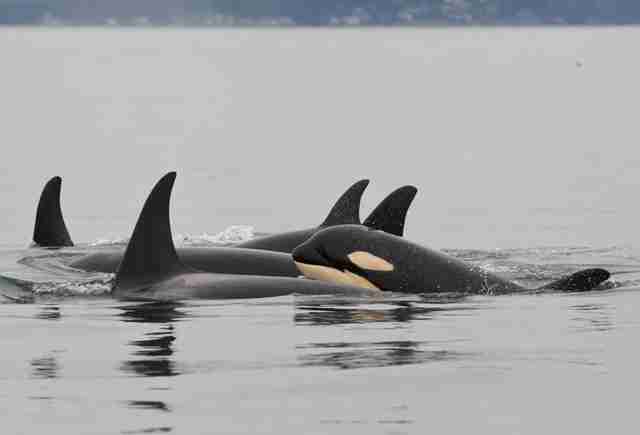 "Watching J50 during the past three months is what extinction looks like when survival is threatened for all by food deprivation and lack of reproduction," the Center for Whale Research (CWR), one of the organizations that has been tracking the SRKW, wrote. 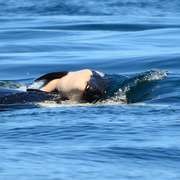 "Not only are the southern resident killer whales dying and unable to reproduce sufficiently, but also their scarce presence in the Salish Sea is an indication that adequate food is no longer available for them here, or along the coast." 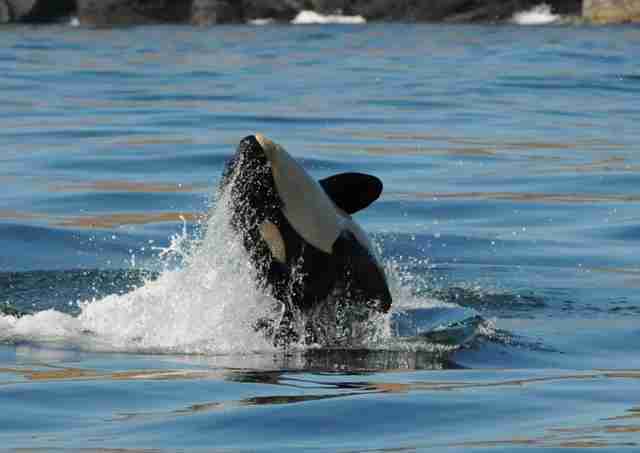 With the loss of Scarlet, there are only 74 of these orcas left across all three pods. In a last-ditch effort to preserve these orcas, conservationists are pushing for a breaching of the dams that have led to the massive losses of Chinook salmon in the first place. "It seems likely that she has died," Barbara J. King, professor of anthropology at the College of William & Mary and author of "How Animals Grieve" and "Personalities on the Plate: The Lives & Minds of Animals We Eat," told The Dodo. "What I find most important at this moment of sorrow and concern for these orcas is not to distance ourselves from what is happening ... We can see that overfishing of Chinook salmon contributes to orca deaths." Hopefully people can do something about it, before it's far too late.